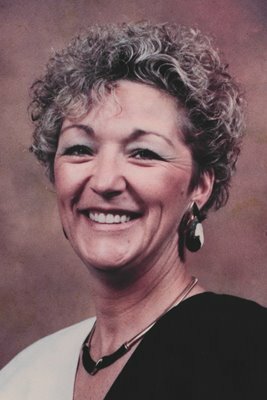 Kathleen G. Bincsik, 76, of Fremont, OH passed away peacefully surrounded by her family on Tuesday, January 15, 2019 at Valley View Health Campus. She was born July 27, 1942 in Lapeer, MI, the daughter of Charles and Mabelle (Spates) Plummer. She was a 1960 graduate of Lapeer High School. She received a Beautician License after High School. Kathleen worked as a Beautician from her home. She enjoyed bowling and spending time with her family and friends. Kathleen is survived by her daughters, Connie (Arturo) Bincsik-Hernandez, Fremont, OH and Sally (Kevin) Bincsik Silver City, NV; granddaughter, Brandi (Brandon) Risser; great grandchildren, Joseph, Cayson and Piper Risser; siblings Sally Plummer-Metz, Lapeer, MI, Joan (Paul) Cohee, Flint, MI, and Joel Plummer, Mt. Pleasant, MI. She was preceded in death by her parents; sister, Sherry McCauley and brother, Craig Plummer. Kathleen’s wishes were not to have any services. Love you grandma! I’m so glad you were surrounded by so much love in your last days. We all love you so so much! We retired to Florida 14 years ago and I have missed my friend dearly since that time. What wonderful memories I’ll have for the rest of my days of our time together. We had so much fun bowling, shooting pool, golfing, playing computer games together, worked together at the Flint Auto Auction and the only two broads that could drive stick shifts, so we got to move all the Corvettes! So much fun and so many laughs. Kathy knew how to make the best of any situation and looked for the best in others. She loved her girls to the moon and back. Her Brandi was always a delight. Her sisters were so special, as I’m sure the great grandkids were as well. My heart aches and goes out to all her family. She is one woman who made a difference in many peoples lives. One of my favorite moments with Joel was taking him to see Kathleen and his niece Connie. It put smiles on all of there faces. Our deepest sympathy for your family. Oh my gosh your mom was such a beautiful soul, Connie. I wish you and your family peace and pray that God comforts you they this difficult time. God bless you, love you. I miss you so much Mom! I’ll never get over losing you! I am sorry to hear of her passing. I hope that all family members have peace . You are all in my thoughts. Carry her love forward.